By providing customized apparel and promotional products, we have an unlimited supply of fundraising ideas to suit your group or organization. Many people who are associated with a particular group love to show that they are in fact a part of that group. Embroidered shirts or hats are an excellent way to raise money! They are classy, personalized, and you are not being pushy by asking someone to purchase a shirt or hat, as we all wear them everyday. 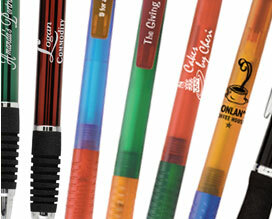 On the side of promotional products, the options are limitless. Coolers, frisbees, seat cushions, keychains, drinkware, and the list goes on and on! Give us a call to discuss your organizations needs. We will take the information we gather during our discussions and come up with a solution that fits your fundraising needs. Let’s face it, without money, it is almost impossible to have a successful organization of any kind. Together we can tackle this problem. By using embroidered items or promotional products for fundraising, you get the best of both worlds. You can raise money, get your name and logo out there for all to see, and also show pride and support for your organization.